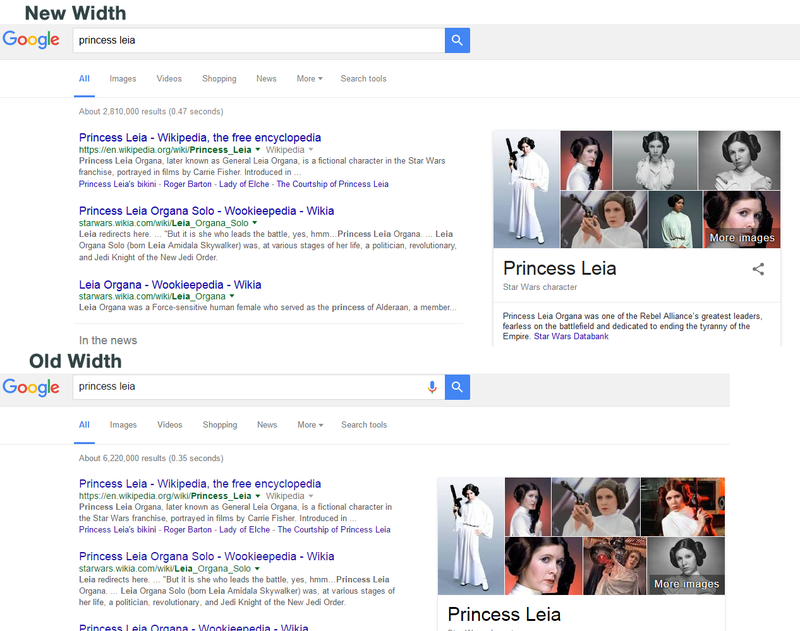 Google has made a major change to the search results column. 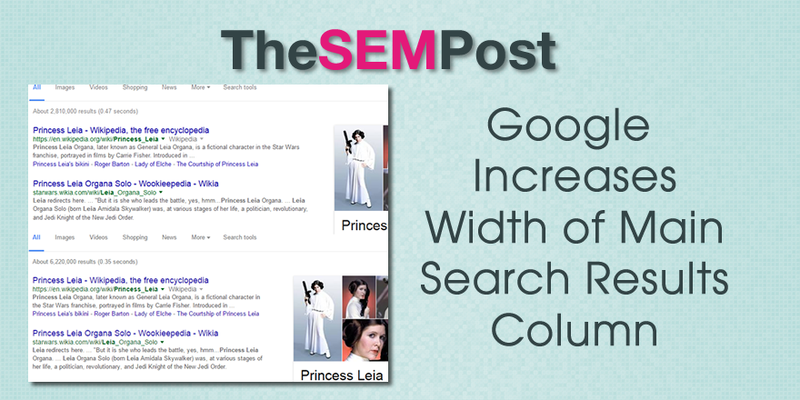 In a major redesign of the search results appearance, Google has significantly increased the width of the column in the main search results column, impacting everything Google displays in that column. Google has increased the column for organic search results to about 600 pixels from 500 pixels. The amount of whitespace between the results and features in the right sidebar has decreased by 5 pixels, from 65 pixels to only 60. Featured snippets, local packs and AdWords are all impacted by this new change. What does this mean for organic results? With the shift in width, it could actually move search results higher on the pages, if some of the multi-line listings end up needing one less line. Many of the features in the main search results column are reduced in height, meaning that some organic results, depending on the particular search query, could be pushed up on the page. This is great news, especially for those who were disappointed when Google changed the search results to add 4 AdWords ads at the top of the results page. This also means there is a new title length! So instead of trying to work within 55-60 characters maximum, you now have 70 characters before Google will add the ellipses (…) Descriptions are increased by 16-20 characters. For all the specifics of the new title and description length for SEO, you can find the new title and description character lengths here. 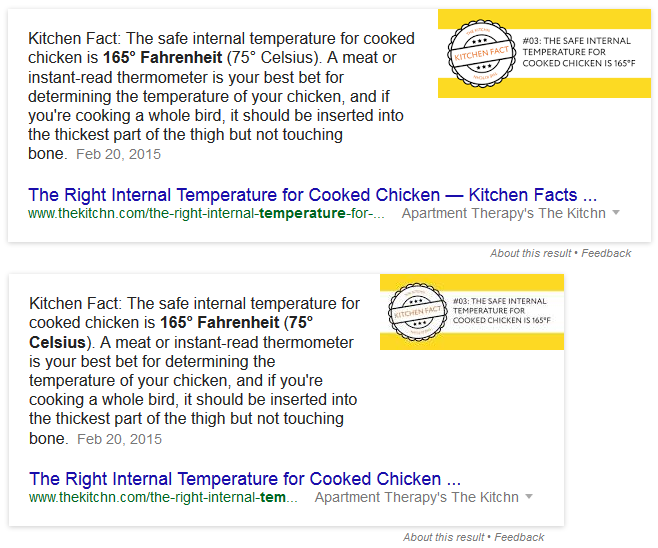 Featured snippets are also increased, although it doesn’t appear that the amount of text within the box itself has changed. Instead, the height is reduced significantly. But the title is also increased. The width for featured snippets is now 646 pixels wide (46 pixels wider than the regular organic search results), up from 556 pixels. Local map packs are also increased and the new packs are the same dimensions as the featured snippets. 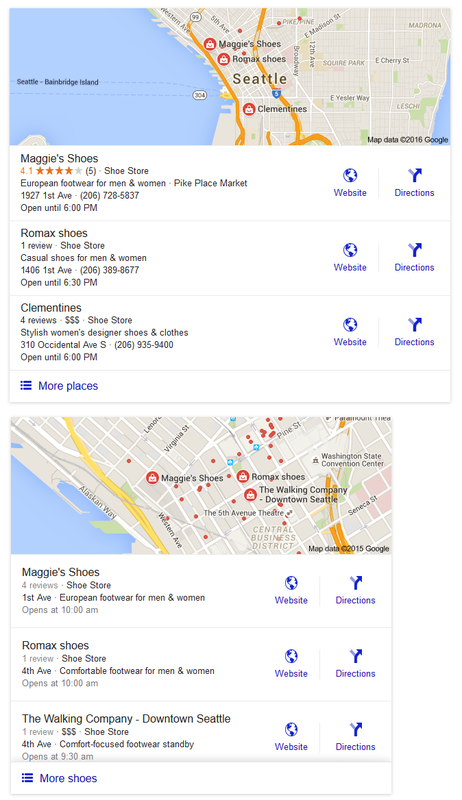 For local SEOs, there’s more info specific to the new wider 3-packs here. Here is the comparison between the two versions. The width of features in the right hand column, such as Google’s knowledge panel, are still the same width and were not adjusted at all. 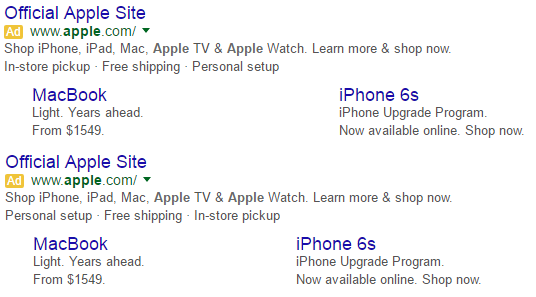 AdWords is now also showing wider AdWords ads in the search results too. It is showing both signed in and incognito. For reference, showing both incognito and logged in. Jonathan Jones was the first to spot the column width change [added: Andrea Pernici spotted it a day earlier]. I did notice that Google had changed the formatting of their Product Listing Ads at the top of the search results, which seems to be related. I have reached out to Google and will update when I know more. Hi. Thanks for the great write up on this. From the examples I have seen, titles are getting cut off at exactly the same point even with the wider page. There are multiple variables at work but I do not think the extra width definitely means longer page titles. I can see these changes on sites having good authority. Google is still cutting meta information for all other sites having low authority. By the way, this is my first comment on your blog. Thanks for sharing the information.